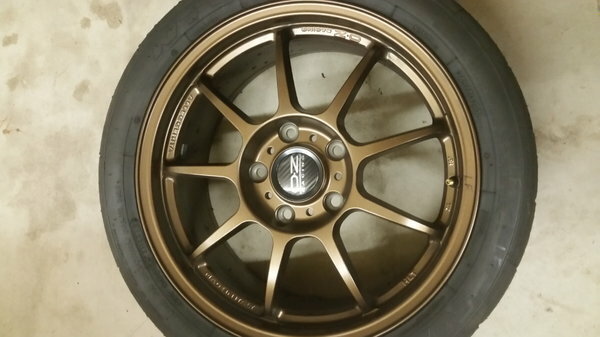 Bronze color OZ Wheels, I bought these thinking I would track my Cayman 981 more, but did not. Used Once and are beautiful wheels as well as light. Nitto NT01 tires in 18” also. Appropriately sized for Cayman 981s.